I've been resisting the urge to make a peplum since the second they appeared, convinced that no sooner would I snip the last thread on a project that it would be sent to live in the bowels of my closet until the peplum's sartorial return in sometime around 2025...but with these skirt/top hybrids still everywhere, and not really going anywhere, I finally did what any self respecting sewing addict would do and made up for some lost time by sewing not one, but two! 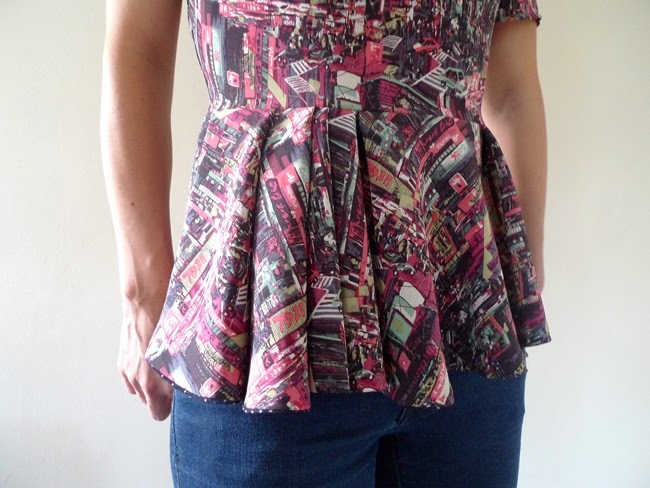 I lined the peplum with silk georgette remnant from the dress I entered in last year's Tessuti awards. Version number 2 up next! Thanks Trollemor! I love your peplums, and those Salme patterns are really beautiful. I was given some as a gift from my hubby, and I found another pair online, aren't they fun! Thank you Mary! I remember how odd they looked to me when they first came out, now they seem so normal. Funny how that happens! it's lovely - I do like the drape you've chosen. And that fabric was definitely worth elbowing your way back for!! I have a few dress clips & have been meaning to make more square & sweet-heart necklines to show them off - they deserve another chance to shine! I am not big on peplums, sometimes I see one that I like, like yours! 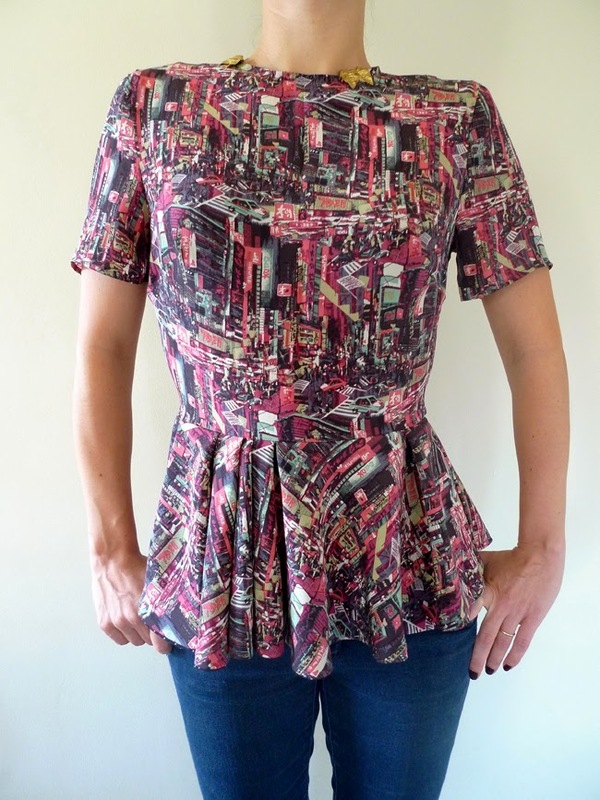 It's not over-the-top peplum and the asymetrical pleats give it a nice touch... 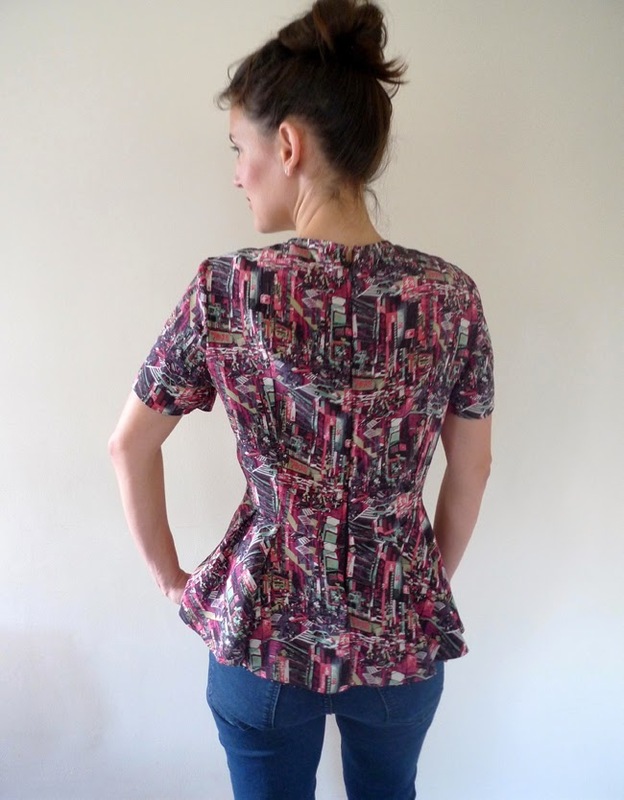 But I am still not sewing my own peplum top! I tried the peplum thing but didn´t work for me. However yours is so pretty. Love the fabric and the asymetrical pleats, and also the lining. And it looks great on you! i haven't done it yet, but i really want to! 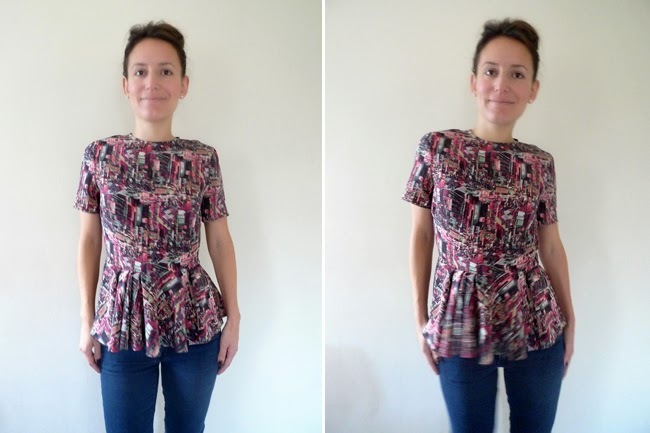 love your peplum top, that fabric is killer! I love this! 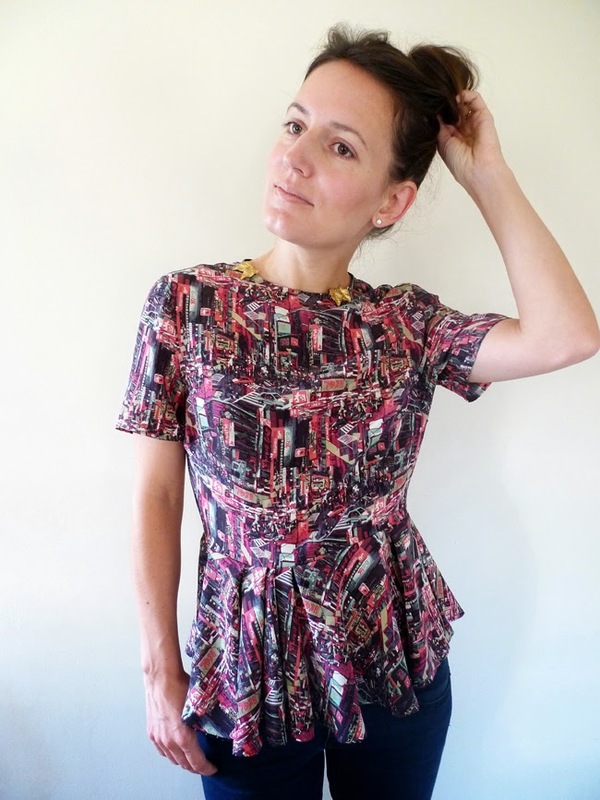 Great fabric and the swingy peplum looks cute on you. 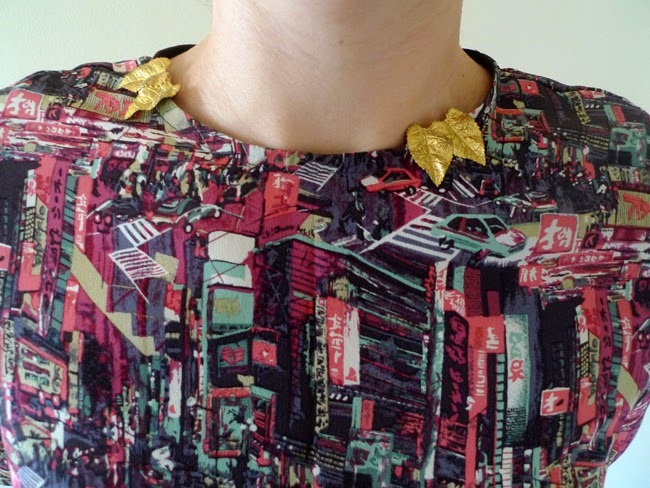 The dress clips are so fun -- I've never heard of them before. I love the peplum look but I haven't found a way to make it work for me, unfortunately. Thanks Jean! I guess the true test will be how often I actually wear it....! This is really cute! I love the print you used! Peplums can be so tricky to wear-- I made one that looks pretty cute, and one that's a bit of a disaster. The proportions are so important! You've really nailed it-- this is a very flattering length! Thank you Elisabeth! It's so funny that so many of us are on the fence but they are still around! The peplum looks great on you!!!!!! Love the fabric and the small leaves they are sooooo cute! Love that fabric! 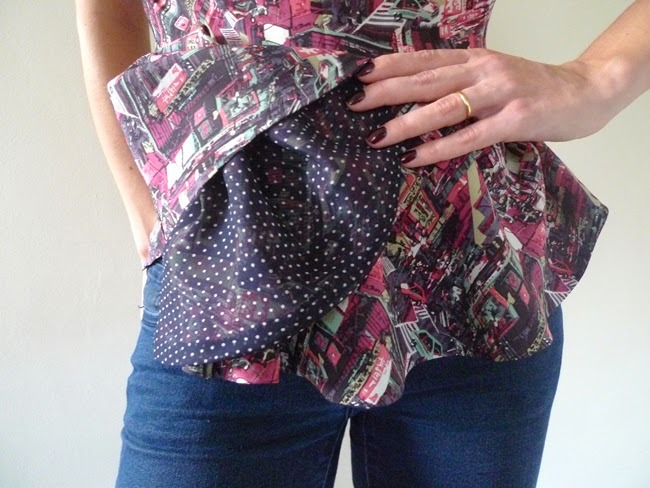 Love the peplum! Ha ha, mine too!!! Luckily it didn't fray so it was easier to work with than I expected. Thanks for your nice comment, I was happy to find a home for those scraps of fabric for the lining! Love the silhouette. I have to been a big fan but maybe I should try it before dismissing it! Thanks Nat! I haven't worn them out yet, but glad I got it out of my system. I'm good for now...I think...! My favourite is the red one because the design lines are the main feature as opposed to the print. 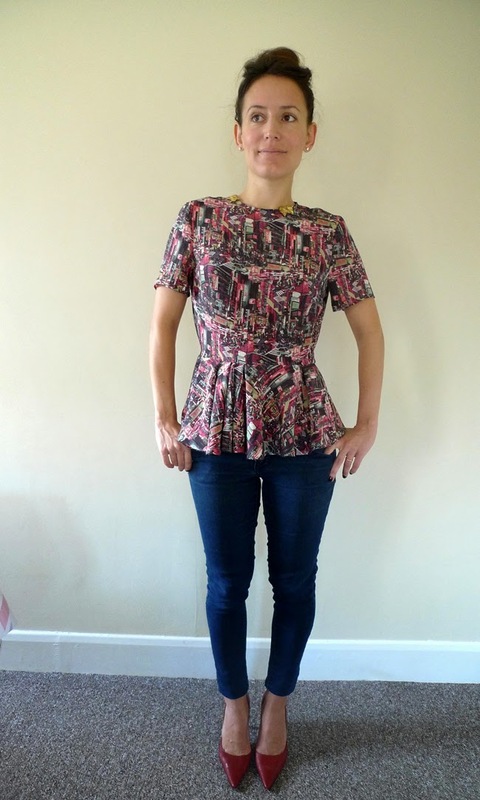 Did you use a pattern for the peplum or is it self drafted? 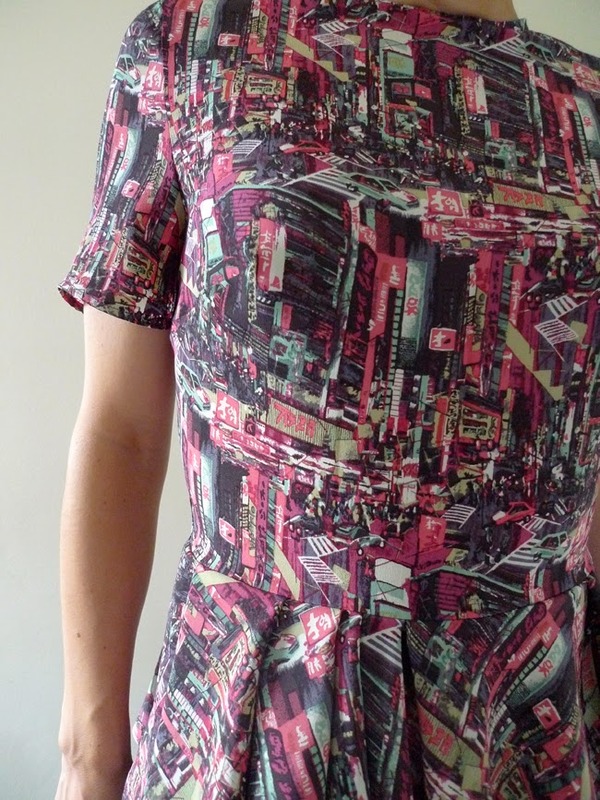 If it's self drafted I'd love to know how you did it!